Can Speaker Arroyo be Successful in her Constitution Change that Rejects Robredo as Du30’s Successor? 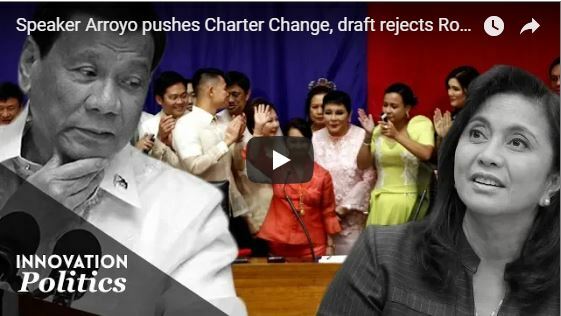 Congresswoman Gloria Macapagal Arroyo, as well as 21 other people from the House of Representatives, are making a push for a change in the Philippine constitution. They initiate a Charter Change by filing of a resolution that contains the revision. The co-authors include Rolando Andaya Jr. the Majority Leader, Vicente Veloso, Alfredo Benitez, Aurelio Gonzales Jr., and Eugene Michael de Vera among others. In this version, the Senate President will be the direct successor of the President and not the Vice President. The camp of the presumptive VP, Leni Robredo reacts immediately through Atty. Romulo Macalintal. While Bongbong Marcos’ camp is still quiet about it. The resolution was already sponsored for a second reading. However, there is a lack of quorum as pointed out by Buhay Representative Lito Atienza. Consequently, they’ve suspended the deliberations. One of the lawmakers involved said that the revision does not target Robredo directly. They just want to stabilize the government for the future circumstance. Arroyo’s leadership on this matter is crucial. She is a former President and a victim of the previous administration. Section 2 of the article, however, prohibits both President Du30 and Robredo to run for office extension beyond June 30, 2022. Furthermore, this constitution also bars Du30 to run as President in the 2022 elections. Therefore, his detractors cannot accuse him any more of prolonging his executive powers – just like during Arroyo’s time. Robredo’s camp questions the removal of the Vice President in the line of succession on the proposed draft. As quoted earlier, Section 4 indicates the Senate President, Tito Sotto in this case, to be next in line. Atty. Macalintal who is running for Senator said that they cannot cite the electoral protest of Bongbong Marcos against his client as the basis for such revision. This also means that if it pushes through, Marcos can’t also assume the highest office of the land. It has always been expressed by the President that should he step down he would prefer the likes of Chiz Escudero or Bongbong Marcos to succeed him. However, with regards to Robredo, he has always shown doubt over her ability to lead the country. Robredo responds to Du30 by saying that he should stop belittling her and just concentrate on work instead. The revised constitution skipping the Vice President in the line of succession also applies to Marcos should he win his protest. However, there are rumors that the President intends him to be the Prime Minister under Federalism. The allies of the government are surely working hard to prevent the yellows from coming back to power – just like how their opponents cheated to stop Marcos from claiming his post. President Rodrigo Du30 might fulfill his promise of stepping down from office if vice presidential protestant Ferdinand “Bongbong” Marcos Jr. wins his electoral protest against Vice President Leni Robredo. While trying to downplay President Rodrigo Du30’s remark that he can be a Malacanang successor, former Senator Bongbong Marcos said that he is nonetheless ready for the presidency. He will make good governance a priority of his administration. This is democracy in the making when the truly elected leader triumphs over fraudulent politicians. Marcos’ electoral protest against the presumptive VP, Leni Robredo us still ongoing. 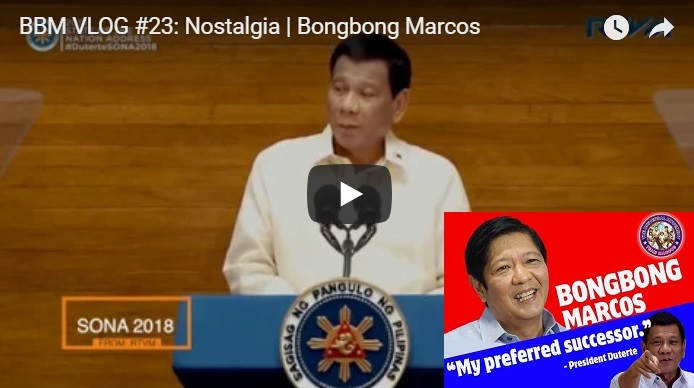 [VIDEO]: Former Senator Bongbong Marcos downplayed President Rodrigo Du30’s comment for him to succeed the president. The improvement of our economy is one of the objectives, as Marcos says. We must also prioritize the interests of the consumers as we improve on the economy. Marcos believes that Du30 is doing good on the economy right now. But still, the President is remarking that if Marcos would only be guaranteed as a successor, he would like to give up the presidency. Being asked about three top priorities, Marcos answers that we only need to think of the “return of good governance.”. This is despite the issues his father faced from his term that is historically known for graft and corruption. It’s been more than 30 years after the late Marcos’ removal from power. Not anyone court can pin him down on the alleged corruption cases. The only evidence that is still in use until the current time is the massive infrastructure project. These are from bridges to hospitals that the masses continue to enjoy. The PCGG was created by Cory Aquino with the purpose of recovering the wealth allegedly amassed by Marcos through the government. However, Bongbong explains that with the cases filed by the PCGG nothing have prospered. Furthermore, Congress is forwarding a bill that would abolish the PCGG. Bongbong is interpreting this as a hint for the country to move on from these already resolved issues and focus on the issues we are facing now. Marcos is stressing that consumer interest will be at the forefront of his administration. He is citing the concern House Speaker Gloria Macapagal Arroyo has on the issues the economy is facing. Immediately, on her first week as leader of the House of Representatives, she held dialogues with the economic managers of the country. Marcos praises her on that move. Obviously, the changes in the government are now leaning towards his future takeover. The President also did not fail to warn people about this upcoming big change. 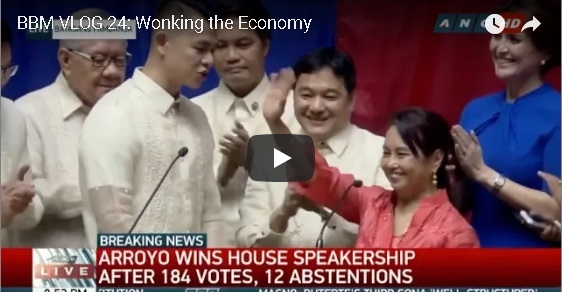 It was not a surprise for Bongbong Marcos at all when former President Gloria Macapagal Arroyo takes her oath during the SONA as the new Speaker of the Congress. He is, in fact, grateful to CGMA for accepting the nomination of her fellow lawmakers. It gives a clear scenario on how President Rodrigo Du30 puts everything together to pave the way for another Marcos golden years as planned by his alliance even prior to the election 2016. This is the same wish of the former palace staff of the Marcoses – for the namesake of Ferdinand Marcos, the great to be President. 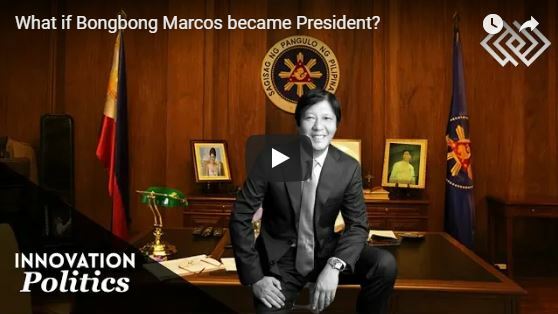 [VIDEO]: Bongbong Marcos: It’s great to reconnect with the people who were such a large part of our lives. I was fortunate to have the chance to do that this week. It came as no shock to anyone. President Rodrigo Du30 is going to resign if Bongbong Marcos becomes the vice president. This was declared last Thursday, August 16, by Presidential Spokesperson, Harry Roque. Du30 and Marcos have always been allies. The president has been vocal of his support to Marcos’ poll protest even back in October 2016. This week, he repeats his stand that he wants someone like Marcos to succeed after him. Du30 can count as an achievement his swift rehabilitation of the political powers of 2 names that have been brought down by the Aquinos. He has paved the way for the Marcos family to reemerge in the Philippine national politics. Bongbong Marcos is now right on track to claim the presidency in the future. 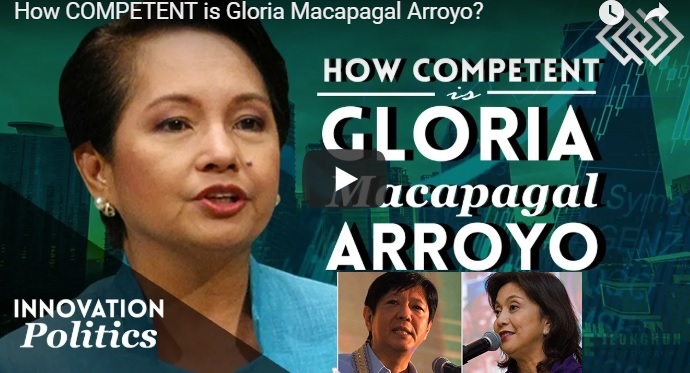 Now he is defending the name of Former President Gloria Macapagal-Arroyo as well. She is now once again re-emerging as a major political powerbroker. The opposition, criticizes Du30, as these moves arguably detract from his own reform credentials. They question what his motivations are on restoring these two into political power. To the loyalists of Arroyo and Marcos however, this serves as a realization of his word. We need capable leaders if we are to make the Philippines stand strong. Marcos shares nostalgic memories with the ex-palace staff. Marcos surprised Pete Sacro on his 90th birthday, visiting him at his home. All his wishes are for Marcos to remain healthy and strong to fulfill his role as President in the future. With all the excitement on the changes in the government positions, the ex-staff shows their support to Marcos.